This 2 inch coupler has inner parts are heat treated. The coupler comes with 3/8" detent pins for added safety. 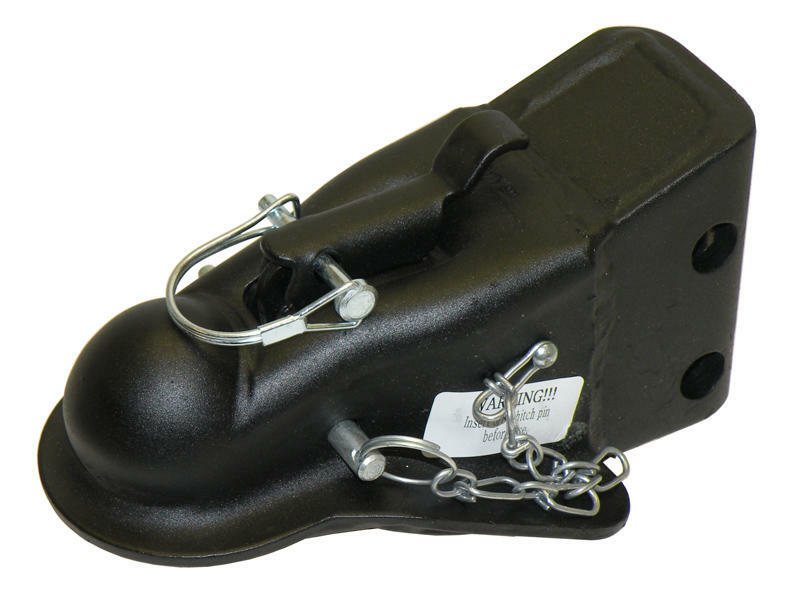 Coupler fits any channel that measures 2-7/8 inches. Couplers' holes are drilled 2" apart from the center of the hole.